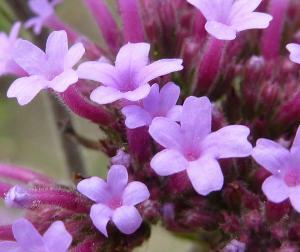 Verbena bonariensis, Purpletop Vervain, is a tall and slender-stemmed perennial. It can grow 120 cm tall and can spread to 90 cm wide. At maturity, it will develop a woody base. Fragrant lavender to rose-purple flowers are held in tight clusters located on terminal and axillary stems, blooming from mid-summer until first frost. The stem is square with very long internodes. Leaves are ovate to ovate-lanceolate with a toothed margin and grow up to 10 cm long. This is a perennial flower that adds height and wispiness to both the garden and flower arrangements. 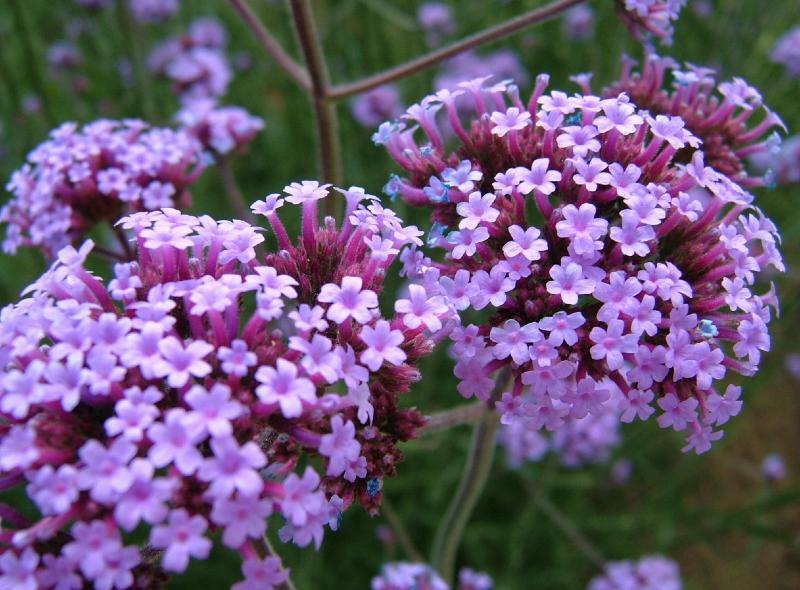 It is a tall plant, that has small, delicate, vibrant metallic purple flowers that are held high on 1.5m thin, ridged stems. It adds impact to borders and flower arrangements when used in numbers. 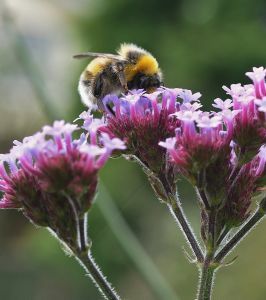 It has been used extensively in prairie style planting designs by Tom Stuart-Smith & Piet Oudolf and the flowers are a haven for bees and are as attractive to butterflies as Buddleja. 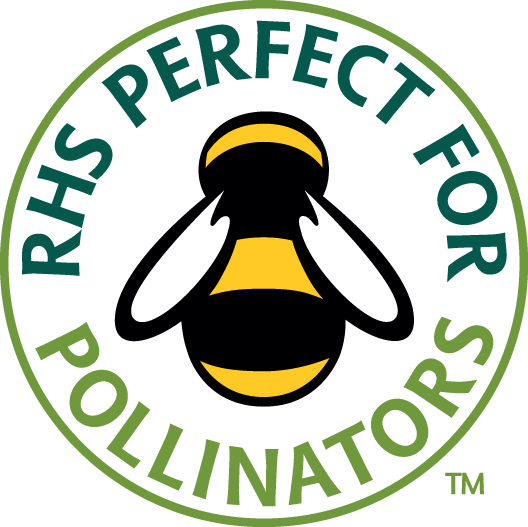 Best planted in groups, rather than relying on single plants for effect. 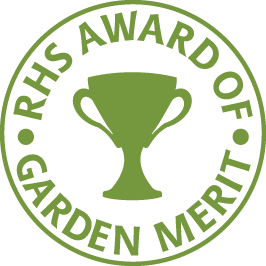 This is a short-lived perennial, and because it is borderline hardy, plants may be damaged by winter frosts in more exposed regions. This may be avoided by leaving the dead stalks until spring, when new growth is evident, before cutting them back. A protective mulch could be added around them in the autumn with leaf mould or compost. Plant in a sunny location in well drained soil, preferably in groups. Plants will merrily self-seed once established. Sun loving drought tolerant plant; Architectural plant – ideal as a ‘stand out’ plant; Suitable for exposed coastal planting; Tolerates full sun and sandy, drought-prone soils. 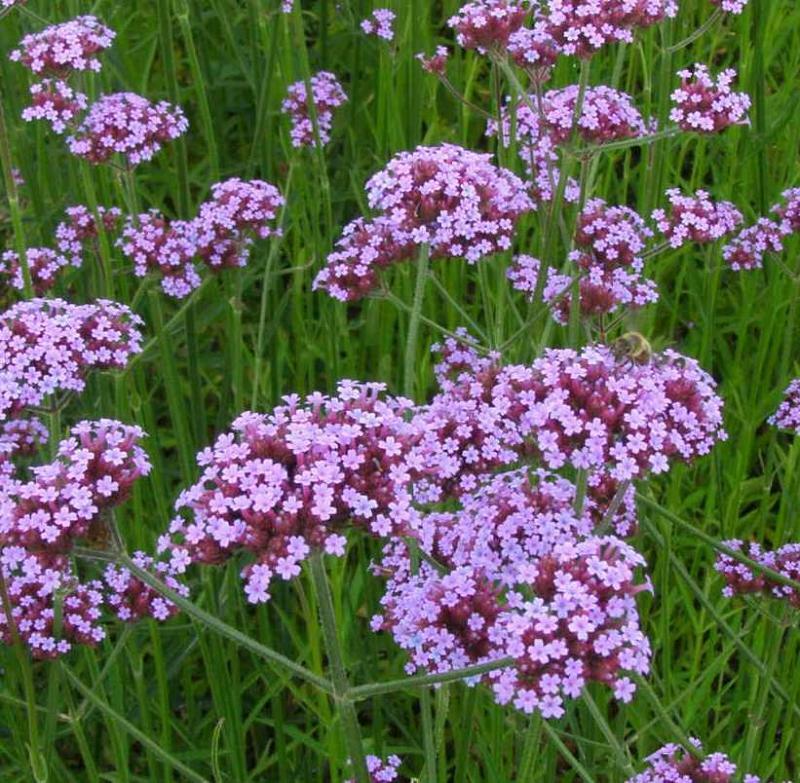 For best effect Verbena bonariensis is best planted in groups. Remove old flowers to promote repeat flowering.